It’s hot here in Los Angeles. 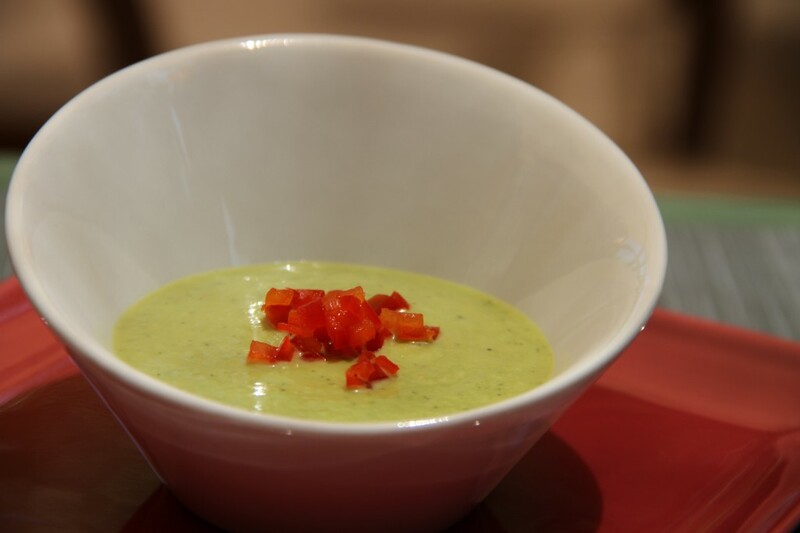 This is a repost of a chilled pea soup that is a standard in my house. It’s an easy and satisfying summer soup, try it, you’ll like it. It took me three different experiments to get this just right. So give it a go. You’ll be happy that you did. A few words of caution before you proceed. The pea and cucumber mixture has a tendency to erupt in the blender, so please make sure the top is on and a protective towel on top of the lid. Enjoy! Add onions and garlic. Cook on medium high heat for 3 minutes or until transparent. Add peas and cucumbers. Cook 3-4 minutes. Add sour cream, mint, dill and cook for another minute. Add half of the pea mixture to a blender. Use the stock to help with the blending process. Once the first half is done add the remaining pea mixture and continue to puree adding a little cream and stock. Keep tasting so you can decide to go with more cream or stock. If you think it’s pureed enough, let it go for another minute. Strain puree through a medium strainer. Adjust seasonings with salt and pepper. Chill for at least four hours. It’s best when done over night. I love cold soups in the summer, and yes it has been so hot here in Los Angeles, especially in the valley. So I guess I’ll be giving it a try! It looks very fresh!